Being a programmer is no longer a specialized skill reserved for those working in IT departments or technology-centric industries. In fact, a wide array of careers now require some level of coding prowess just to land an entry-level position. Not only is learning to code important from an employment perspective, it can open doors for entrepreneurs, artists and other creative types as well. Learning a new skill can be a lot easier if it's fun, and writing code is no exception. 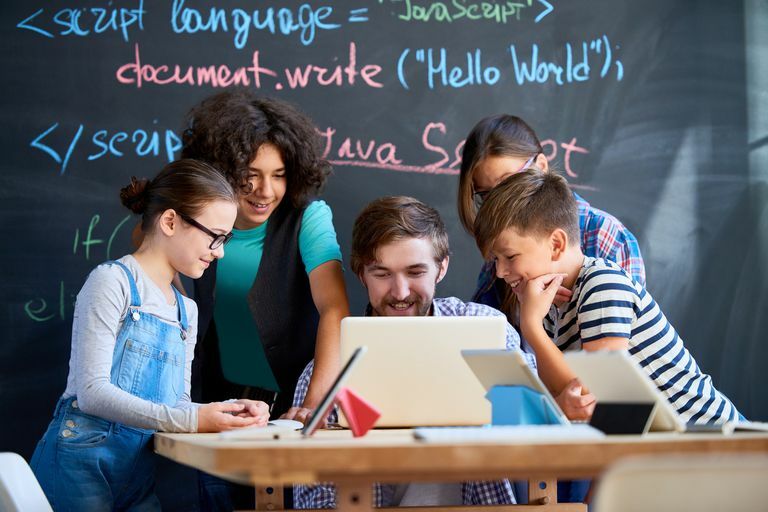 The following free coding games target all ages and experience levels and are designed to help you get started in a number of different programming languages. Chrome and Firefox browser add-ons extend CheckiO's feature set. Translations are available in several popular languages. Community code reviews ensure that you're on the right track. The user interface is a bit clunky in some places. CheckiO can be played in all major web browsers. CodeCombat's progressive format has an ideal pace to it, ensuring that you're fully absorbing lessons as you proceed. Advanced users get to build their own levels with the game itself. You can only get so far for free in CodeCombat, so if if you or your students are looking to reach advanced levels you'll eventually have to reach for that wallet. The in-game tutorials are a little confusing for newbies. As you progress you can eventually unlock advanced areas, ensuring that gameplay never gets tiresome. The CodeCombat classroom edition offers tools for both teachers and students, allowing you to monitor progress and become a legitimate programmer even at a young age. CodeCombat can be played in all major web browsers. CodinGame has come close to perfecting the gamification approach for enhancing your existing knowledge of a programming language, even taking things a step further by offering job recruitment resources. Some of the games are so engrossing that you forget they're intended to be learning exercises. We haven't found any noteworthy cons with CodinGame. A challenge-centric environment where you can learn one of over two dozen languages including all of the major options, as well as lesser-known digital dialects like Dart and F#, CodinGame's mini-games are designed to take already-competent programmers to the next level. Both solo and multiplayer turn-based challenges are offered, with the option to participate in leaderboards to get those competitive juices flowing. Whether shooting aliens, racing motorcycles or trying to make your way through a treacherous maze, CodinGame's learning methods are addictive and enjoyable. CodinGame can be played in all major web browsers. For those programmers that stick to it, code kata can be extremely effective in the long term. Subscribers can interact with others within the very knowledgable Codewars community. Tougher questions are sometimes presented way too soon in the learning process, in instances where a gradual progression would be more beneficial. Codewars is definitely not for beginners, preventing you from even creating an account until you prove some basic code knowledge in your language of choice. Qualified programmers can take advantage of the vast lesson library. but also interact with others in the Codewars community. There are costs associated with these exercises and games, but we've included Codewars on our list anyway because a fully-functional free trial can be requested via the company's website. Code Wars can be played in all major web browsers. There are no shortcuts here. If your code isn't completely accurate, you will certainly fail at these challenges. If you can transport riders in an efficient manner then things will continue to get trickier, with only the most experienced JS coders able to complete the final challenge. The interface isn't nearly as flashy as many of the other options on our list. Then again, it isn't meant to be. Elevator Saga can be played in all major web browsers. Instead of just learning code in a linear fashion, you're forced to think along with what your potential opponents might have planned for the arena. By writing the artificial intelligence code for your robot, you have full control over how it behaves once the fight begins. The competitions are aimed at lower-level programmers, so seasoned coders have too much of an advantage in battle. In Robocode you're tasked with creating a virtual tank in either Java or another language like C# or Scala, which you then send into real-time battle with other user-generated robots. Essentially you're playing the role of an online BattleBots contestant, replacing a soldering iron and steel with identifiers and operators. Robocode can be played in all major web browsers. Having to account for your warrior's health at the game's higher levels, and being unable to simply rest for a given period because of nearby enemies, requires an ingenuitive coding solution from Ruby newbies. In addition to learning the syntax itself, Ruby Warrior also teaches artificial intelligence lessons so that your pixilated hero is able to make his way to the lovely Ruby (yes, that's right!) waiting at the top level. If you aren't already familiar with Ruby's basic syntax to begin with you're not going to get far in this game. Ruby's easy-to-read style makes it an ideal language to learn through this type of game as your knight character ascends a tower rife with peril, including dangerous obstacles and angry enemies, all through the magic of code that you're tasked with writing. Ruby Warrior can be played in all major web browsers. The game's simplicity all but eliminates the potential feeling of being overwhelmed that often plagues new coders. If used correctly, this can be the perfect segway into the Apple development world. Although Swift Playgrounds is intended for adults as well as children, its interface and relatively slow progression says otherwise. Swift Playgrounds is a free iPad app geared towards teaching Apple's Swift language, which is used to build apps for iOS devices, macOS computers, Apple TV and Apple Watch. Part of Apple's Everyone Can Code initative, Swift Playgrounds begins with coding fundamentals and works its way up by presenting puzzles and other challenges that can only be solved through programming concepts. Swift Playgrounds can only be played on an iPad. Tynker really hits the mark with games that today's kids are familiar with, to the point where it feels more like playing than learning. Tynker allows you to play 20 coding games for free before requiring a paid subscription. The free version includes all Minecraft skins, mods and add-ons along with access to a free Minecraft private server. Some of the help pop-ups are too verbose for their target audience. Tynker is not as intuitive as it could be, especially considering the target demographic. Multi-player games are also available, allowing you to pit your programming skills against other junior coders by participating in different activities like collecting monsters and training them to win battles or casting spells against your opponents in a 4-player arena. Tynker can be played in all major web browsers. This is a nice starting point for anyone unfamiliar with vi or vim, much more enjoyable than slogging through readme files and knowledge base articles. Used often by administrators, programmers and other power users, VIM adventures takes you through a dungeon-style maze using only vim syntax. A fee is required to learn anything past the basic controls. An enhanced version of the vi text editor for Linux-based operating systems, vim's key bindings and multiple modes make it much more powerful than a standard notepad-style application or even a word processor. Bearing the apt tagline "Zelda meets text editing", the game does permit cursor key movement but strongly suggests that you use h, j, k and l instead to simulate the true vim experience. VIM Adventure can be played in all major web browsers.